One of the most commonly asked questions of our Ocean County child support law firm is “Can my child support agreement include support for my child’s college education?”. Considering the importance a college education has on the career opportunities available to anyone in New Jersey, as well as the expense of securing any post-secondary education, it is clear why parents would be concerned with this issue. However, while there is now a number of precedent setting cases which establish the legal belief that a child’s education is a necessary expense for the child’s parents, that doesn’t necessarily mean that your child support agreement currently accounts for this expense. In fact, with the February 2017 update to New Jersey child support laws in S-1046/A-2721, all child support obligations will now automatically terminate when a child reaches the age of 19, unless the parents specify otherwise in their child support agreement. This is true of all child support agreements, including any agreements signed before this update to New Jersey child support law. However, if your Ocean County child support agreement, like those of many parents, does not include language which extends child support for your child beyond the age of 19, there are still circumstances in which it is possible to secure a continuation of child support in order to account for your child’s continuing educational needs. When it comes to proving your child’s enrollment in a secondary or post-secondary education, you must submit what is known as an “enrollment verification”. While every school will subscribe to some type of enrollment verification program, there are many different providers available to schools, so you will need to ask your child’s school which enrollment verification service they use. That being said, one of the most commonly used enrollment verification services is that of EnrollmentVerify provided by the National Student Clearinghouse®. Again, you must use your child’s school’s enrollment verification service to prove their enrollment, things like transcripts, acceptance letters, tuition bills, and financial aid documents are not accepted forms of proof of your child’s educational enrollment. Whether you are deciding your initial child support agreement, requesting a child support continuation, or modifying your child support agreement, the courts will decide each parent’s financial obligations towards their child’s college, university, or some other post-secondary education based on a number of different factors. However, the weight that each of these factors has when it comes to determining each parent’s financial obligations depends a great deal upon the arguments and presentations of your Ocean County child support attorney, and the individual judge themselves. Clearly, a great many factors and considerations will go into the court’s decisions when determining each parent’s financial obligations to their child’s post-secondary education. Not only will several financial analyses need to be performed (determining the financial status of each parent as well as the child themselves), but a great number of very subjective factors will also be taken into consideration. By retaining the counsel of an experienced Ocean County child support attorney anytime such critical issues are being decided, not only can you ensure that full and accurate financial information is disclosed by each parent, but also that the courts are properly taking into account the unique needs and situations of you and your family when making their child support determination. 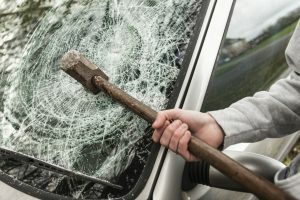 Anytime you are reaching critical agreements regarding you and your family’s finances, it is important to have an experienced attorney on your side, when it comes to your child’s education and an expense as large as a college or university education can often be, retaining experienced legal counsel becomes that much more important. 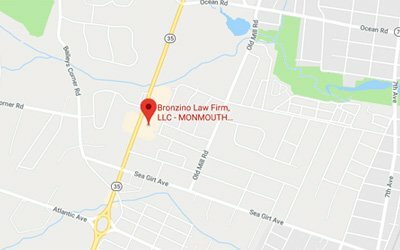 At Bronzino Law Firm, our firm has extensive experience helping parents to plan for their child’s education in their initial child support agreement, and modifying that child support agreement when it does not properly account for this key expense in towns across Ocean County and Monmouth County, including Toms River, Point Pleasant, Spring Lake, Sea Girt, Brick, and Jackson. Attorney Peter Bronzino strongly believes that by keeping each of his clients highly informed and involved throughout the legal process, and listening closely to their unique needs and concerns in any legal matter, he can better work to secure the resolution to whatever family law issue they are facing which best takes into account those same needs and concerns. 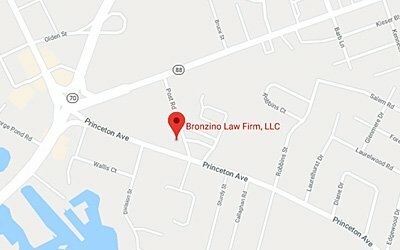 To speak with Peter Bronzino and our family law team today in a free and confidential consultation regarding your child support agreement, requesting a child support continuation, or modifying your child support agreement, please contact us online, or through our Brick, NJ office at (732) 812-3102.